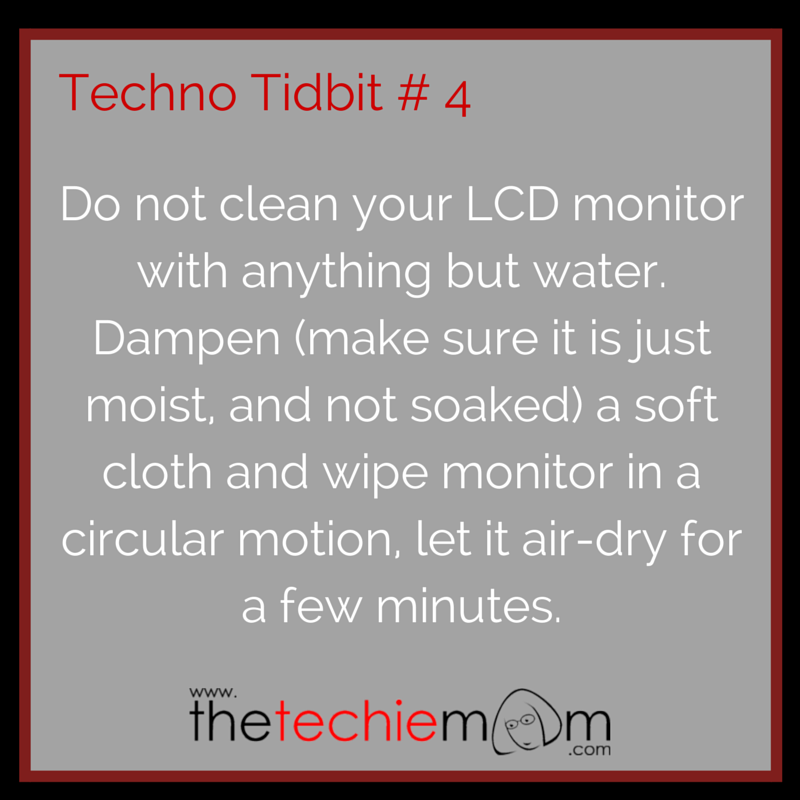 Techno Tidbit #4: LCD/LED monitors nowadays get really grimy fast, we need to clean it constantly to make sure the dirt doesn’t stick to it (it’s harder to clean when dust has already accumulated and caked over.) Before doing anything to your monitor, make sure that you have unplugged it. Do not clean your LCD monitor with anything but water. Dampen (make sure it is just moist, and not soaked) a soft cloth and wipe monitor in a circular motion, let it air-dry for a few minutes, after which, you can plug it again.